Now that you know the absolute basics of using a computer, it’s time to learn more about your computer’s operating system. We’ll be talking about the two most common operating systems in this lesson: Microsoft Windows and Mac OS X. Watch the video below to learn the basics of using Windows. Watch the video below to learn the basics of using Mac OS X. 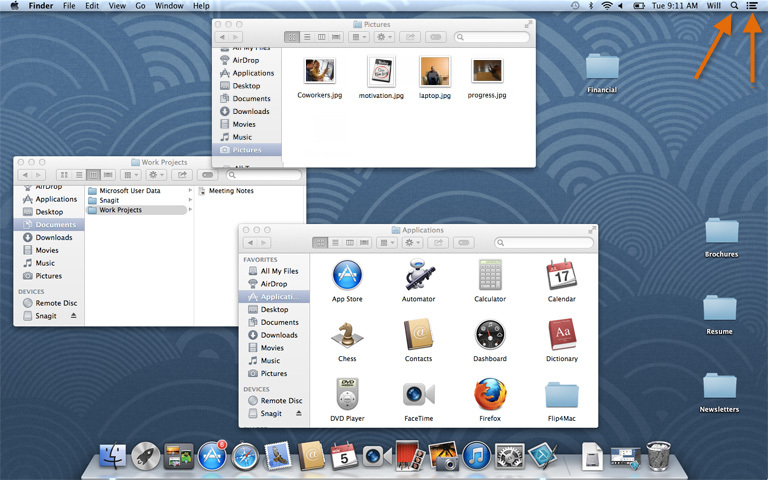 Both PCs and Macs use a graphical user interface (GUI), and they each have their own look and feel. The interactives below will introduce you to the Windows and Mac interfaces. Click the buttons in the interactive below to learn more about the Windows interface. Click the buttons in the interactive below to learn more about the Mac OS X interface. If you have difficulty seeing or hearing—or if you have trouble manipulating the mouse or keyboard—there are many settings that can help make your computer easier to use. To learn more, check out our lesson on Using Accessibility Features. No matter which operating system you use, your computer uses folders to organize all of the different files and applications it contains. 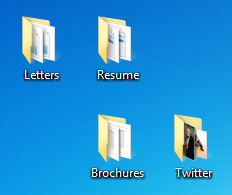 Folder icons on your computer are designed to look like file folders full of documents or pictures. Each operating system has its own file system, which helps you find your folders and files. 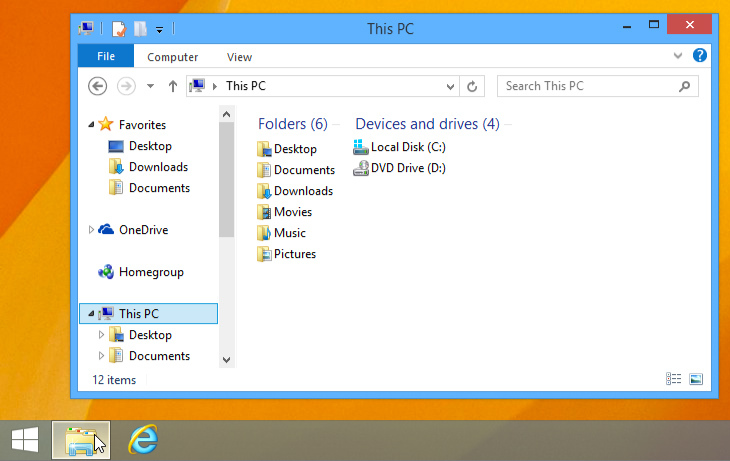 If you have a Windows PC, you’ll use the File Explorer (also known as Windows Explorer). If you have a Mac, you’ll use Finder. Here, we’ll talk about the basic functions that are common to all computer file systems. To find out more about file systems on Macs, check out the lesson on Working with Files in our OS X Basics tutorial. To learn more about PC file systems, take a look at the Working with Files lesson in our Windows Basics tutorial. 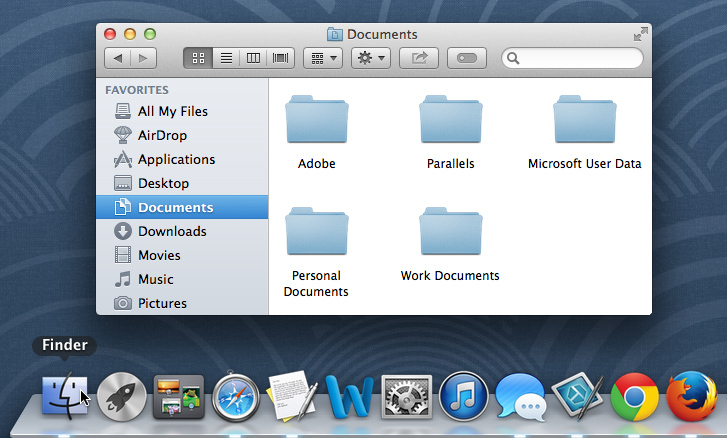 Whether you’re using a PC or a Mac, the file system icon will be in the bottom-left part of the screen. On a PC, the File Explorer icon looks like a folder, as in the image below. On a Mac, the Finder icon looks like a face on the Dock, as in the image below. In both operating systems, you can also open the file system by clicking a folder from your desktop. 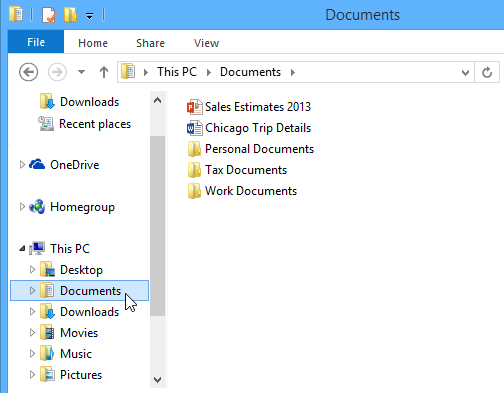 Whether you’re using Windows Explorer or Finder, basic navigation will work the same way. 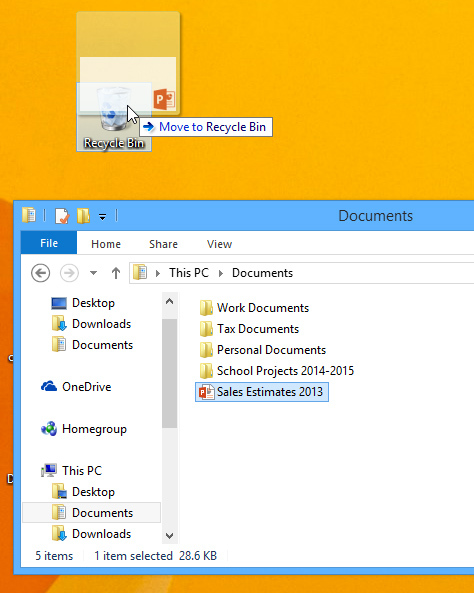 If you see the file you want, you can double-click it with your mouse. Otherwise, you can use the Navigation pane on the left side of the window to select a different location. 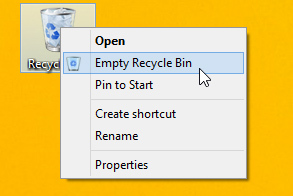 OS X and Windows use a Trash can—or Recycle Bin—to prevent you from accidentally deleting files. When you delete a file, it is moved to the Trash can. If you change your mind, you can move the file back to its original location. If you want to permanently delete the file, you will need to empty the Trash or Recycle Bin. To do this, right-click the icon and select Empty. 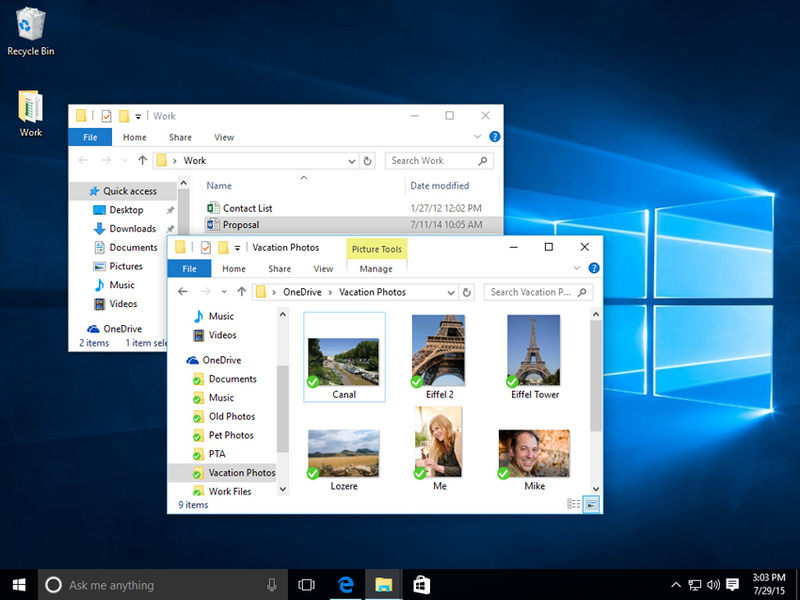 Each application on your computer has a group of file types—or formats—it is able to open. When you double-click a file, your computer will automatically use the correct application to open it. 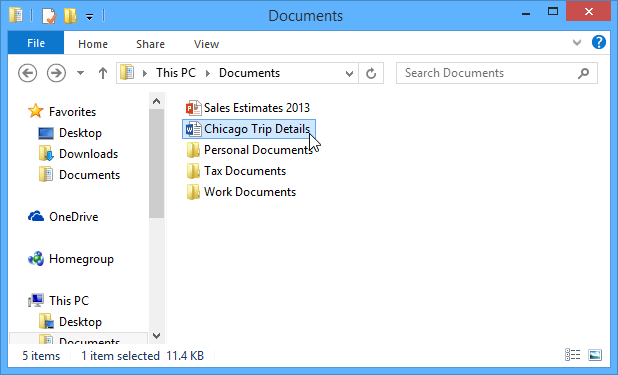 In our example, we’re opening a Microsoft Word document (Chicago Trip Details), which will open in Microsoft Word. However, there may be times you may want to open an application directly, instead of just opening a file. To open an application in Windows, click the Start button, then select the desired application. If you don’t see the one you want, you can click All Programs/All Apps to see a full list, or simply type the name of the application on your keyboard to search for it. 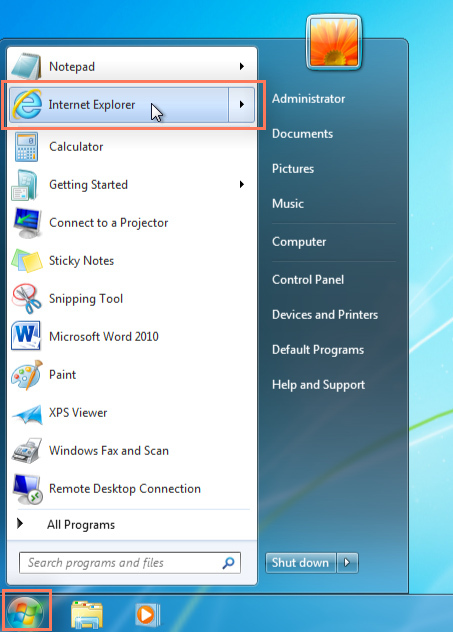 In the example below, we’re opening Internet Explorer. To open an application on a Mac, click the application’s icon on the Dock. If you don’t see the one you want, click the Spotlight icon in the top-right corner of the screen, then type the name of the application on your keyboard to search for it. In the example below, we’re opening Safari. When you start using a new computer, you may want to begin by adjusting the computer’s settings. Adjusting your settings can range from simple tasks such as changing your desktop background to more advanced tasks like adjusting your security or keyboard settings. 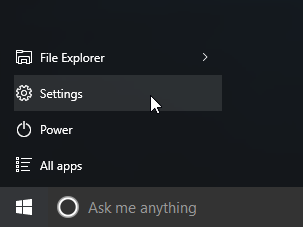 In Windows 10, click the Start button, then select Settings. 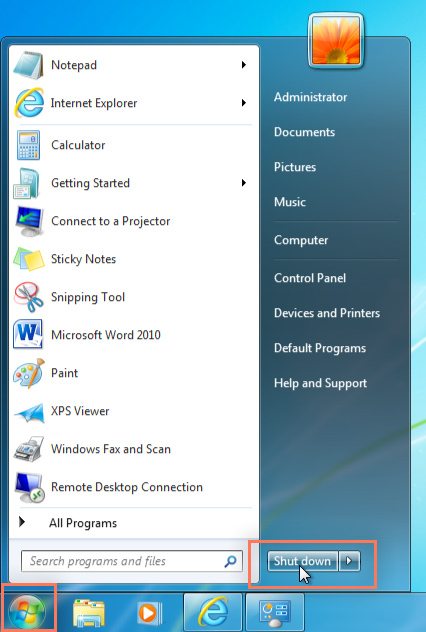 In Windows 8.1 and earlier, click the Start button, then locate and select the Control Panel. 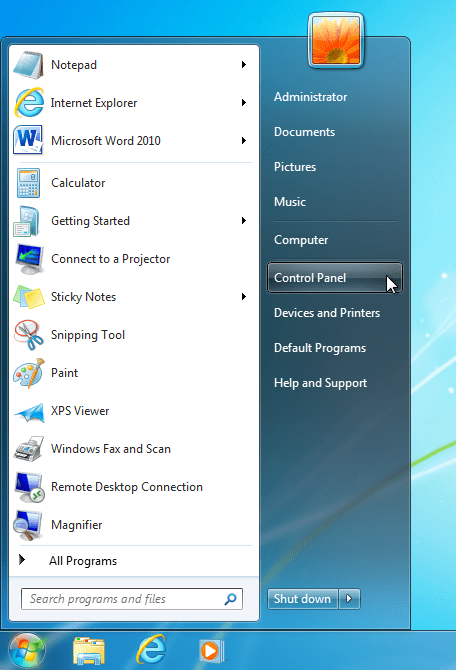 Check out the Adjusting Your Settings lesson in our Windows Basics tutorial to learn more about the Control Panel. 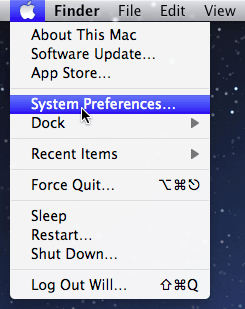 On a Mac, click the Apple icon, then select System Preferences. Check out our Adjusting Your Settings lesson in our OS X Basics tutorial to learn more about System Preferences. When you’re done using your computer, it’s important to shut it down properly. To shut down Windows, click the Start button, then select Shut down (in some versions, this may say Turn Off Computer or look like the power symbol). 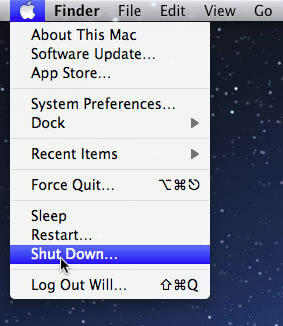 To shut down a Mac, click the Apple icon, then select Shut Down.